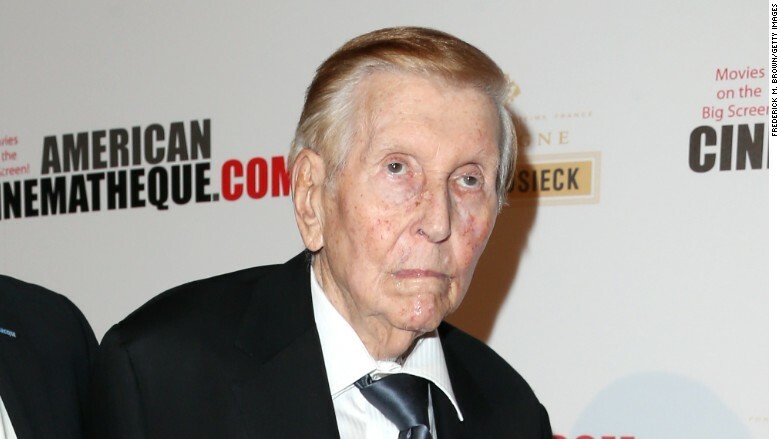 Decisions about Sumner Redstone's health care will now be made by his daughter Shari instead of the CEO of one of his companies. Redstone, the 92-year-old media mogul who is in very poor health, has designated Shari as his new health care agent, replacing Viacom CEO Philippe Dauman, a person with knowledge of the change said Wednesday. Because Shari Redstone does not live full-time in Los Angeles, near her father, an unnamed family friend in L.A. will be her local proxy, the source added. The Redstone change was first reported by Bloomberg. Health care agents are empowered to make decisions on behalf of incapacitated individuals. The designation can be important when end of life care is at issue. The adjustment, normally a highly personal decision, has corporate consequences in this case. Some investors and analysts had raised questions about Dauman's role as Redstone's agent, suggesting it was an inappropriate conflict of interest. Shari Redstone's return to her father's life, and now his health care decisions, also reflects maneuvering behind the scenes. Father and daughter were estranged for some time, but are now on better terms. Redstone controls about 80% of the voting shares at both Viacom (VIA) and CBS (CBS) Corporation. In February, with Shari's involvement, he gave up the chairmanship of both companies' boards. He remains chairman emeritus of both. Redstone's choices about designating a health care agent touched off a legal battle last year. An ex-girlfriend, Manuela Herzer, argued that Redstone did not have the mental competency to remove her as his health care agent and put Dauman in her place. The legal document designating Dauman had an illegible scrawl where Redstone's signature was supposed to go. Lawyers for Redstone and Herzer are now engaged in settlement talks. An agreement could be reached as early as Thursday, the person with knowledge of the matter said.